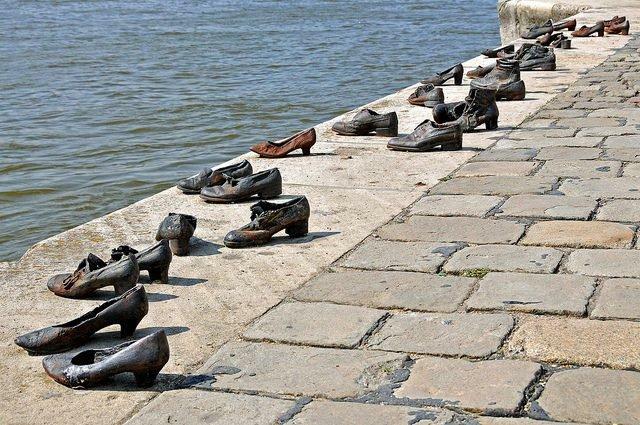 Not far from the Hungarian Parliament building sit 60 pairs of old-fashioned shoes, the type people wore in the 1940s. 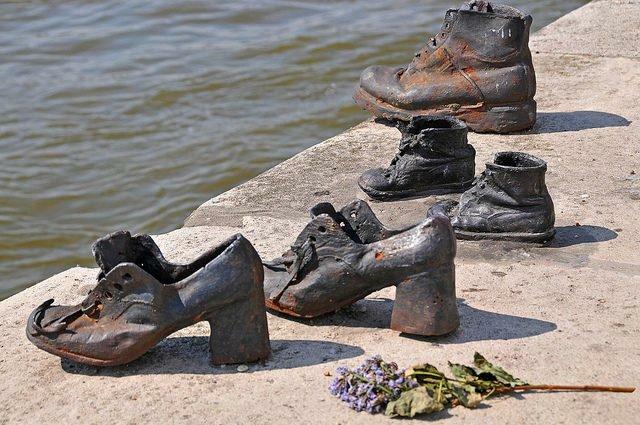 These footwear make up the "Shoes on the Danube Bank" memorial which honors the Jews who were killed by fascist Arrow Cross militiamen in Budapest during World War II. 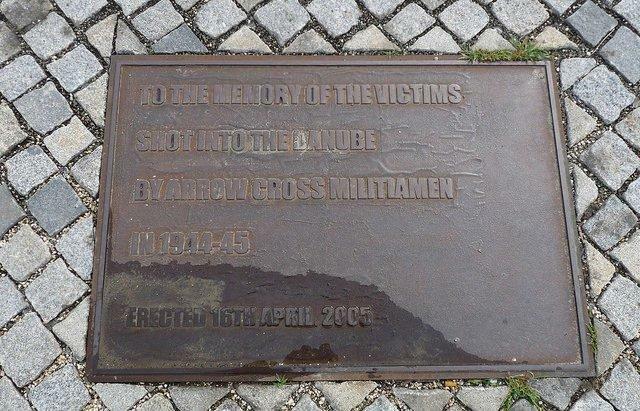 On the night of 8 January 1945, an Arrow Cross execution brigade forced all the residents of the building on Vadasz Street to the banks of the Danube. 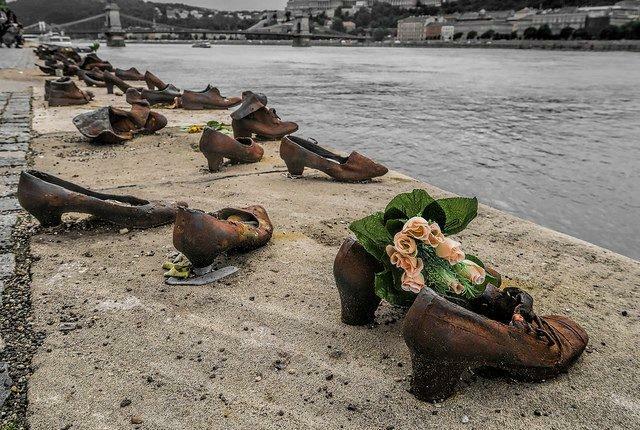 They were ordered to take off their shoes, some were forced to strip naked, and then they were lined up along the banks of the Danube and were shot at the edge of the water so that their bodies would fall into the river and be washed away. The idea to place a monument on the river embankment were that of Gyula Pauer, a Hungarian sculptor, and his friend, film director Can Togay. 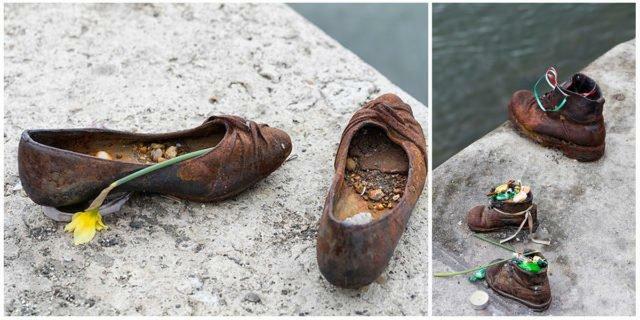 The sculptor created sixty pairs of period-appropriate shoes out of iron. 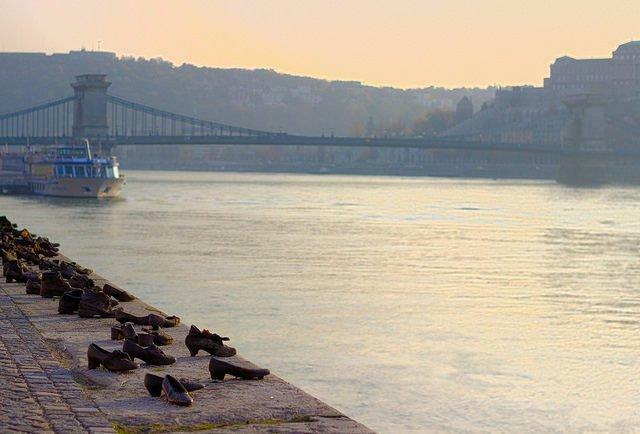 The shoes are attached to the stone embankment, and behind them lies a 40 meter long, 70 cm high stone bench. 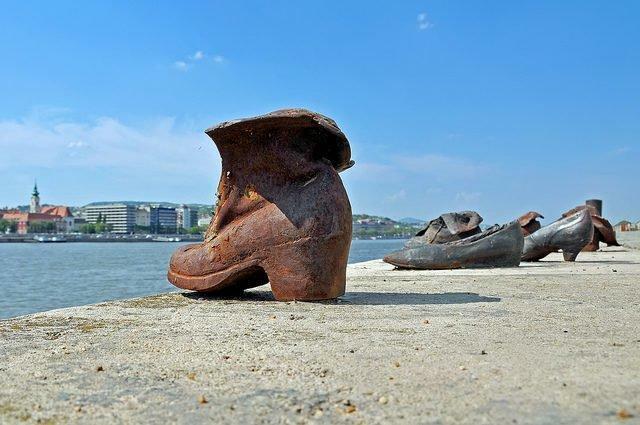 Shoes on the Danube Promenade is one of the most moving holocaust memorials in Budapest today. 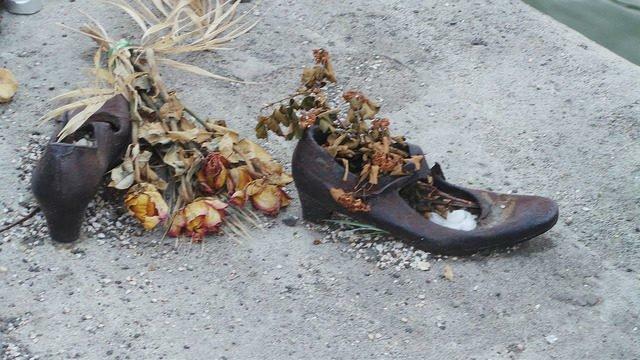 People who visit the memorial sometimes light candles or leave behind flowers, placing them inside a particular shoe.